"Enough of this garbage; let's give the people real food!" So that's exactly what we did! We worked closely with a natural foods manufacturer to bring you the cleanest and healthiest Real Food Bar possible made strictly of good, wholesome ingredients such as blueberries, yams and sweet potatoes that can all be purchased in your favorite grocery store. 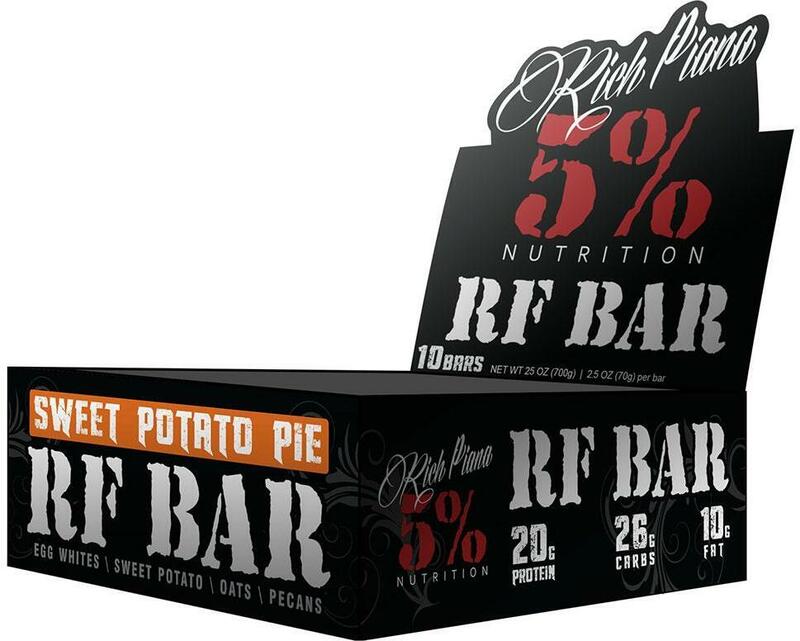 Not only are you getting a delectable Real Food Bar made of ACTUAL food, but you're also getting 20g of protein! Did we mention that we use egg whites as our protein source? How many other candy protein bars can say that?! 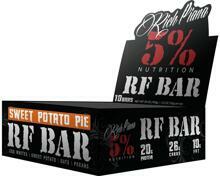 Wrapped in a thicker foil, our RF Bars are not only made with premium ingredients, but they have NO fillers or chemicals. Don't believe us? Check the list of ingredients on our wrapper and compare it to any other protein candy bar on the market. Go ahead…we'll wait. With all the other products out there filled with nothing but artificial ingredients, we wanted to bring you a quality product with quality ingredients that you can feel good about putting in your body; not just another unoriginal, bland-tasting bar that's identical to all the other hundreds that are already out there. Blueberry Cobbler This is a Buy 1 Get 1 FREE offer! Sweet Potato Pie This is a Buy 1 Get 1 FREE offer!